NASHVILLE, Tenn. (AP) — The number of African-American men entering medical school hasn't budged since the late 1970s, and Dr. James Hildreth wants to change that. BOISE, Idaho (AP) — Legislation creating a licensing path in Idaho for naturopathic medical doctors has been signed into law by Gov. Brad Little. DES MOINES, Iowa (AP) — A Des Moines medical school has bought land in West Des Moines and intends to move to the suburban site. JONESBORO, Ark. (AP) — Both of Alyssa Weyer's parents worked as physical therapists, so she saw first-hand the benefits of helping others with medical needs. NEW BRUNSWICK, N.J. (AP) — A former professor at Rutgers University's medical school has been charged in a 160-count indictment with using a hidden camera to film women in a bathroom. PASADENA, Calif. (AP) — Tuition will be waived for the first five classes of students at the new Kaiser Permanente School of Medicine in Southern California. MINEOLA, N.Y. (AP) — New York University plans to open a new tuition-free medical school on Long Island focusing on training primary-care doctors. Newsday reports the NYU Long Island School of Medicine will offer a three-year study program instead of the standard four years of study. Dr. Dean Shelov, the school's founding dean, says the school will open in July with 24 students. AUGUSTA, Ga. (AP) — One of Georgia's medical schools wants to embark on a plan that could put dozens of new doctors in rural parts of the state. OMAHA, Neb. (AP) — The Nebraska Supreme Court on Friday disbarred an already-suspended attorney who played a key defense role for a former doctor convicted of killing four people with ties to an Omaha medical school. Jeremy Jorgenson, 44, violated state law and attorney rules of conduct by continuing to make filings and practice law after his 2017 suspension, the high court found. It said he also failed to inform clients of his suspension or return their money. SALEM, Ore. (AP) — Democratic Oregon Gov. Kate Brown called for her Virginia counterpart to step down over a racist photo in his 1984 medical school yearbook. "It's appalling, all of it," Brown told reporters Thursday when asked about Virginia Gov. Ralph Northam. "He should resign. And then we have the next layer of issue, right? And one after that." 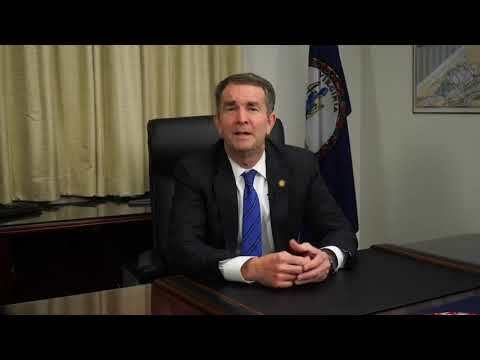 NEW YORK (AP) — The racist photo on Virginia Gov. Ralph Northam's yearbook page wasn't the only thing that disgusted Monifa Bandele. She was especially appalled that the image was published as he was graduating from medical school on his way to becoming a pediatrician. Amid fallout over a racist photo, Virginia Gov. Ralph Northam has signed legislation which would carry out the state's promise to Amazon for up to $750 million in incentives if it creates almost 38,000 jobs at its new Arlington County headquarters. SALT LAKE CITY (AP) — University of Utah medical residency students held a teary-eyed vigil for a classmate from San Francisco who authorities say was killed by her boyfriend in a murder-suicide. Evers told reporters Tuesday he "can't imagine how he can govern" in light of the photo of someone in blackface next to another person in a Ku Klux Klan hood and robe. RICHMOND, Va. (AP) — On Wednesday, Virginia Gov. Ralph Northam's was blasted for controversial abortion comments he made during a radio interview. Two days later, news outlets reported that a racist photo appears on Northam's medical school yearbook page. On Tuesday, he clung to office even as Democrats had been denouncing him for days. Here is a timeline of what led to this point. A top administration official for Virginia Gov. Ralph Northam says the governor is meeting with staff to hear their assessment of whether it's viable for him to stay in office. RICHMOND, Va. (AP) — A political death watch took shape at Virginia's Capitol as Gov. Ralph Northam consulted with top administration officials Monday about whether to resign amid a furor over a racist photo in his 1984 yearbook. Northan denies being in the yearbook photo even though he had apologized for it Friday and said previously that he was in it. President Donald Trump says Virginia Gov. Ralph Northam's Republican opponent would have easily won the 2017 governor's race if the racist photo in Northam's yearbook had been discovered during the campaign. SPRINGFIELD, Ill. (AP) — Southern Illinois University's medical school has opened a specialty clinic to serve children in the foster care system with the goal of reducing disruptions in their health care. SPOKANE, Wash. (AP) — Washington State University is asking the state Legislature for an additional $3.6 million so it can expand its medical school in Spokane. The medical school currently enrolls 60 students per class. Washington State officials want to use the additional money to expand enrollment to 80 students per class. The expansion of the Elson S. Floyd College of Medicine is the top item on WSU's legislative agenda for 2019. HAMBURG, N.Y. (AP) — Federal prosecutors say a member of the faculty at an upstate New York medical school has been charged with receiving cocaine and heroin through the mail. The U.S. attorney's office in Buffalo says 54-year-old Dr. Torin Finver was arrested Tuesday at his home in Hamburg and charged with importation of a controlled substance. Authorities say several parcels addressed to Finver over the past month were found to contain cocaine and heroin. HUNTINGTON, W.Va. (AP) — Bob Hansen has been appointed the third director of the West Virginia Office of Drug Control Policy in less than a year. Gov. Jim Justice announced Hansen's appointment Monday along with the formation of a council of addiction and recovery experts to help fight the state's opioid epidemic.